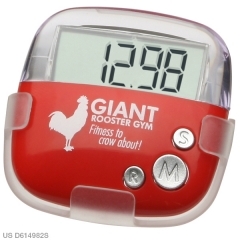 It is trendy to run with a custom flip clip pedometer. 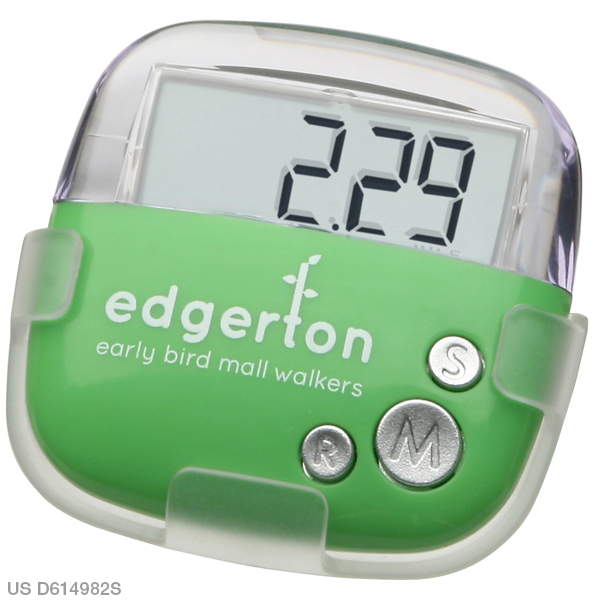 Why not add more style to your customer’s daily jogging activities by offering a stylish flip clip pedometer? This certainly boosts your online presence. 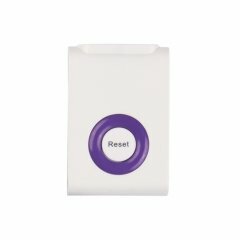 It measures 1” x 2-1/8” x 2-1/16” and gives enough space to imprint your brand name and logo. 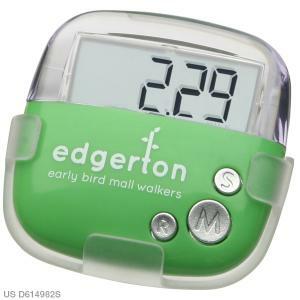 So when they go out wearing these, the brand imprint on the personalized flip clip pedometers shows up before prospective customers in your existing customer’s circle. 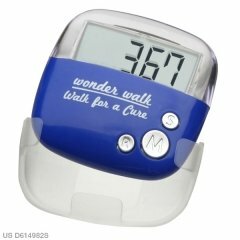 It measures up to 99,999 steps covered, distance travelled and the calories burned. This flip clip device can operate in metric or imperial system. The promotional flip clip pedometer input the stride length to obtain the most accurate readings. 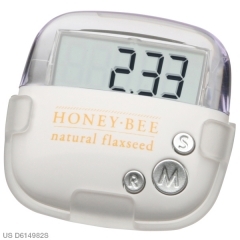 It has an energy saving auto shut off and idle mode function. There is a replaceable button cell battery inserted in the green device. Imprint Area : 1" x 0.5"
Product Size : 1"x 2-1/8" x 2-1/16"